It’s impossible to prepare for property damage to your home or business. Whether it is manmade damage or damage from a natural disaster, you are left feeling helpless and taken advantage of. That’s why our team at DriForce Property Restoration takes pride in rectifying both your property and your spirits. When you are in need of property restoration services in Livonia, MI, you need a company that offers 24/7 emergency service. Our extensive restoration services are designed to meet any need or requirement that you have. We work with all insurance providers and offer full-service solutions, from emergency cleanup to complete restoration. Our skilled technicians have perfected the restoration process. We understand that getting your property back up and running is the most important thing. At DriForce, we don’t take any shortcuts. We work efficiently and diligently so your home or business can return to its prior beauty. When your home or office experiences water damage, it is important to start the restoration process as quickly as possible. When you begin looking for water damage restoration in Livonia, choose a company that can service all your needs. 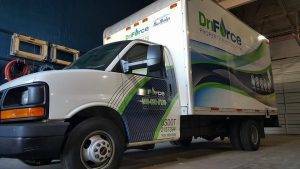 From extraction and dehumidification to flood restoration, DriForce is your one-stop shop to restore your property on time and on budget. Once again, the key to Livonia fire damage restoration is acting quickly. Many fire and water damage restoration companies in Livonia are not able to respond to emergencies in a timely manner. At DriForce, we have live operators on-call 24/7 so you get the immediate service that you need during such a stressful time. We will show up immediately to start the smoke and soot removal process and make sure your home is safe to enter. In addition to water and fire damage restoration, our skilled technicians at DriForce provide many other services. We are one of the premier mold removal companies in Livonia, MI. We have the experience and resources to make sure the mold is remediated, and your home is protected from any future mold. Our Livonia content restoration service has been invaluable to all our customers. Our team can restore furniture, photography, electronics, artwork and more! 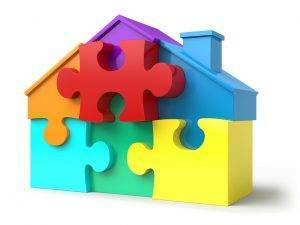 We also offer home remodeling and storm damage services. In addition to water and fire damage restoration, our skilled technicians also specialize in asbestos removal in Livonia. Proper asbestos abatement is vital in a business or a home, as it can lead to serious health problems. We will perform extensive asbestos testing throughout the process and won’t leave your company until we are 100% sure that it is safe for you and your employees to return. No matter how big or small of a job, DriForce has the trusted property restoration experts you need. When disaster strikes your home, you need a company that will treat your home like it’s their own. As an independently owned and operated company in Metro Detroit, we treat every customer like family. Just check our reviews. Contact us today at (877) 638-0081 to learn more or fill out our online quote form.